Bill Bird Shoes has taken delivery of three machines that will help improve results, achieve greater precision and provide greater safety for our bespoke shoemakers. 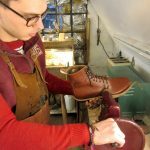 The shoemakers in Gloucestershire solve fitting and walking difficulties for people across the UK by handcrafting made-to-measure footwear. 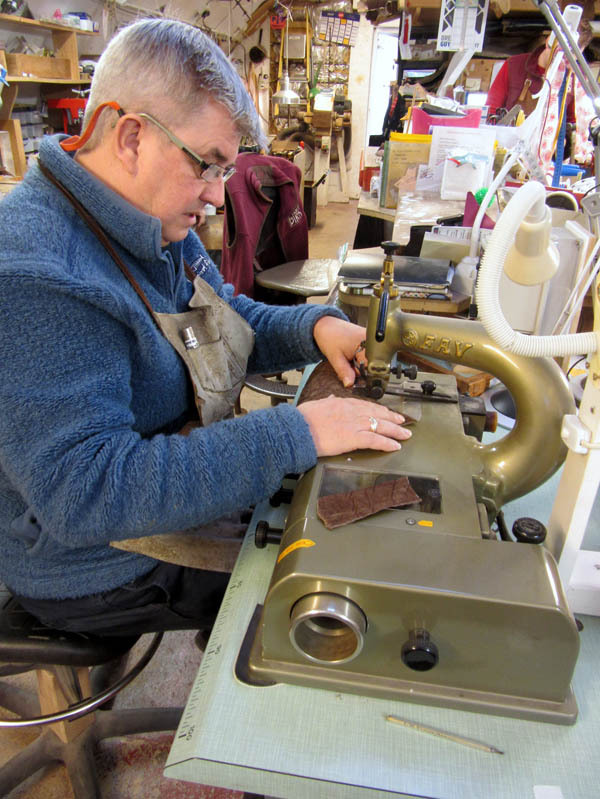 The team was offered a state-of-the-art Italian skiving machine for upper leathers free of charge – the only problem was that it was at the German School of Orthopaedic Shoemaking in Dusseldorf! This did not deter Bill Bird shoemaker Chris and his dad Mick, who drove the 22-hour round trip to pick up the machine and return it to our workshop in the Cotswolds. And very grateful we are too. The second machine we bought from our dear friend and fellow shoemaker, David Xavier, who died in 2016. It is a German-made combination leather trimmer and skiver that allows us to trim heavy soles, among other things. 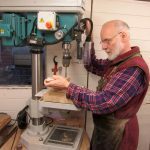 A drill press completes the list and this allows us to achieve really accurate drilling, which is especially useful when adding heels or making lasts, the wooden blocks around which shoes are made. 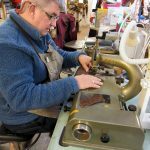 Previously we would have carried out the tasks by hand with hand drills and knives and there was the danger we would cut the leather uppers – or ourselves – if we slipped. These big, heavy, solid machines can be relied upon to steady the work and give even the least experienced of us the confidence to do an excellent job every time.